Since its inception in 2012, bioprinting - the use of 3D printing techniques to cultivate living cells and tissue - has made leaps and bounds in the medical industry. From only being able to cultivate a few cells in a petri dish, the technology has grown to the point that now, scientists are able to manufacture certain organs on demand, such as bladders and urethras. This new innovation is already making waves in the field of organ transplantation, where it is hoped that bioprinting will be able to solve the perpetual problem involving the low supply of available organs for transplant. Furthermore, since bioprinting makes use of a patient's own cells to grow new organs, there is little-to-no risk of the body rejecting the donated organ after transplantation. 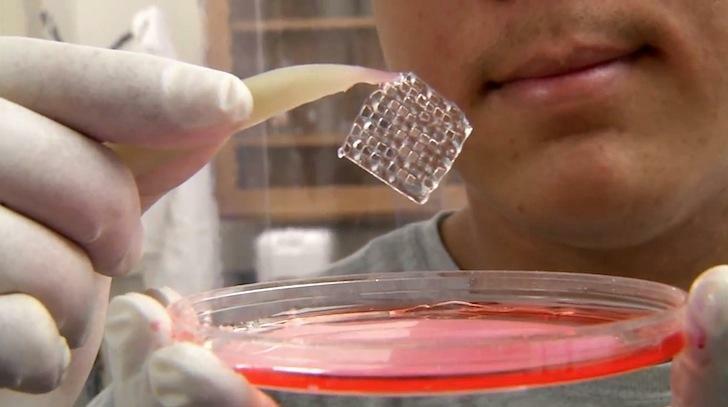 Eventually, doctors hope that bioprinting will ultimately make organ transplantation an affordable and easier process, which will potentially help tens of thousands of lives. While some patients have already been transplanted with bioprinted tissue and organs without any problems, there's still a lot of obstacles left to overcome. For instance, bioprinting is still unable to manufacture the more complex organs of the human body, such as the heart and lungs, due to the large number of cells per centimeter in these organs. Furthermore, bioprinting remains a time-consuming process, with small organs like bladders taking up to around two months to properly grow in a laboratory. However, researchers are optimistic that someday, bioprinting will not only make organ transplantation easier, it will also allow help doctors conduct more rigorous analysis of cancer tumors, as well as determine which treatments are effective on the patient in question. With the growing popularity and complexity of 3D printing technology in the past few years, these dreams may not be a long way into becoming a reality.